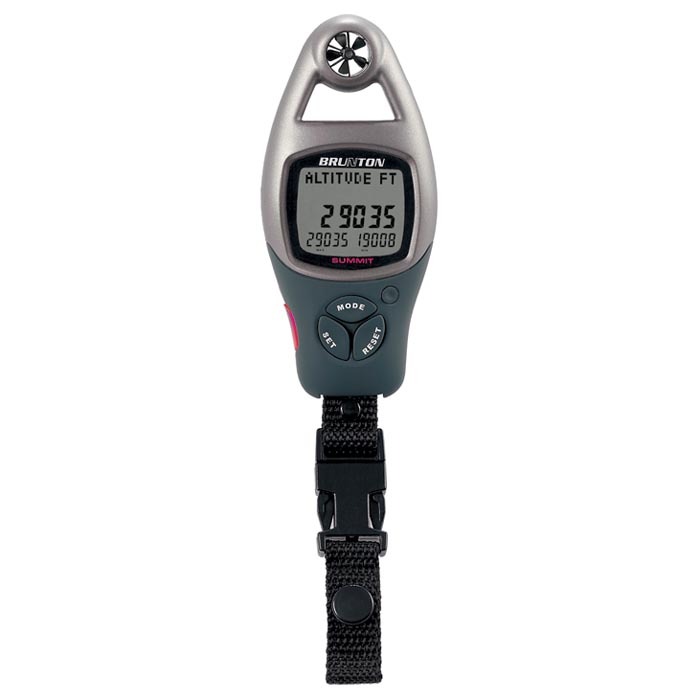 The most popular of Brunton's weather instruments gives you everything the wind offers and more. Displays current barometric pressure (in hPa, mb or inHg). Storm alarm. Past 24 hr pressure tendency. Predicts the coming 12-hour's weather. 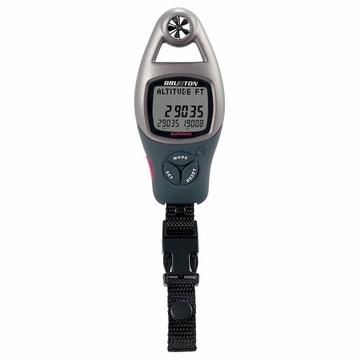 Altimeter shows current, max, min altitude in meters or feet. Density alarm. Altitude alarm. Ski run counter. Shows current temperature and past 24 hr temperature tendency. Current, max and average wind speed. Wind chill, average and min wind chill. Wind chill alarm. Real time clock: time, day and date, chronograph race timer. Manual and automatic data logging.